Leading Exporter of acnetoin, tretizen 20, isotroin 5 mg capsule, isotroin 10 mg capsule, isotroin 20 mg capsule and isotretinoin capsules from Surat. 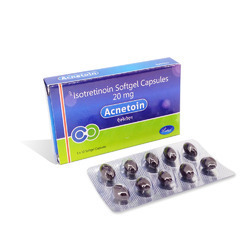 Acnetoin 20 mg capsule contains isotretinoin is used to treat severe acne, which has not responded to other treatments including antibiotics. 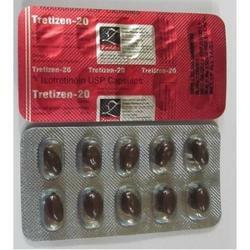 Tretizen 20 mg capsule contains isotretinoin is used to treat severe acne, which has not responded to other treatments including antibiotics. 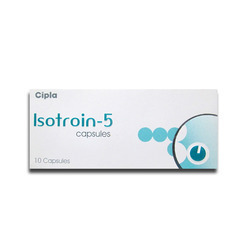 Isotroin 5 mg capsule contains isotretinoin is used to treat severe acne, which has not responded to other treatments including antibiotics. 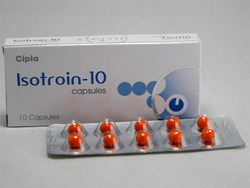 Isotroin 10 mg capsule contains isotretinoin is used to treat severe acne, which has not responded to other treatments including antibiotics. 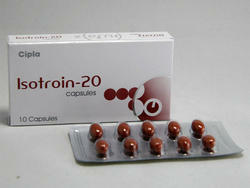 Isotroin 20 mg capsule contains isotretinoin is used to treat severe acne, which has not responded to other treatments including antibiotics. 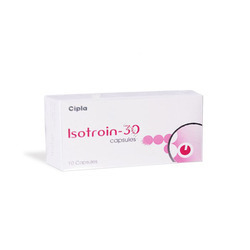 Isotroin 30 mg capsule contains isotretinoin is used to treat severe acne, which has not responded to other treatments including antibiotics. Tretizen 10 mg capsule contains isotretinoin is used to treat severe acne, which has not responded to other treatments including antibiotics. Looking for Skin Care Capsules ?